What are Hosted Web Payments? Hosted Payments allow merchants to process credit card transactions online via a secure hosted payment page. 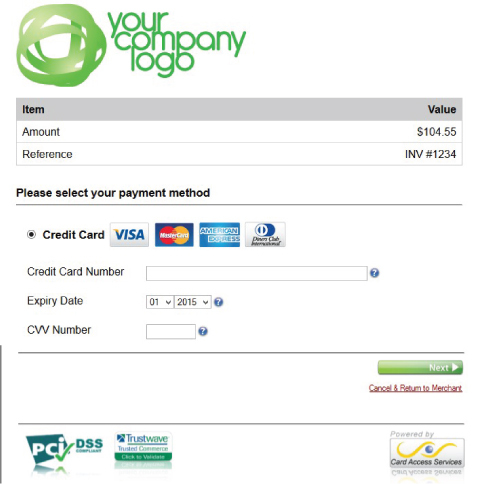 Unlike others in the market, the CAS Hosted payment page is branded with your company logo to compliment your website. Using hosted pages means that you do not capture any sensitive card information on your site, all card data is entered in our PCI DSS certified environment, saving you the headache of security obligations and giving your customers peace of mind that their card details are not at risk.